"You and your wife were amazing thank you so much!!! " "The pictures are so beautiful!!!! THank you Soooooo much!!" "I have had soooo many compliments on my senior pictures! I just had to tell you how cool and unique everyone thinks they are! I also love your portraits! So thanks again for giving me the coolest senior pictures at cphs! (I got a lot of compliments about the scenery and the spinny tree one) I'll be ordering some other your other pictures for my dorm!" "I just wanted to say thanks for everything you did yesterda. The Pictures are beautiful and I'm so very excited. I can not thank you enough for everything you have done for me. Words cannot describe how much i apperciate this. THANKS! "Hi Daniel. The guest registry book is absolutely beautiful! Thank you so much. I wish that our wedding was not out of Indiana because I would have loved to have you as our wedding photographer! We have several of the black and white prints displayed in our home and everybody comments on them. We've received a comment that our engagement photos are one of the best they've ever seen. Thank you for the wonderful photos and memories!" "During a very tumultuous time in our lives, Daniel & Selina captured the essence of our young family. They are an incredibly skilled team and Daniel is a brilliant photographer. However, their true talent is their patience and diligence with children. Our session with dgmphotography was pleasurable and the results stunning!" "Working with Daniel and Selina was a wonderful experience. I felt very relaxed. He was willing to work with my ideas and was flexible with my site choices. The pictures were very unique...not the same as everyone else. The pictures were returned very quickly and having them online was great for family/friends not living close. I would definitely recommend dgmphotography." "Our experience with Daniel and Selina was memorable. They were able to tell the story of our special day through photography. They helped us to focus on the moment when everything was happening so fast around us. They were able to take the ideas that we had and add their creative touch. The end result exceeded our expectations!" - Megan and TJ Barrett. "While my husband was deployed to Iraq I decided to have some professional photos of our 2 year old twin daughters taken to send to him. I contacted Daniel after seeing his work at a friend’s house and the entire process was nothing but enjoyable. I really don’t know what was more memorable, the two hours the girls and I spent at the park with Daniel and his lovely wife or the photos themselves. I can’t say enough good things about his artistry and professionalism. The DVD was especially moving as I was able to send it to my husband in Baghdad. All my friends and family loved the photos, and it was hard to choose when it came time to ordering. But that was easy too since Daniel allowed plenty of time to order and then go back and order again and friends, and family can even go online to order for themselves. I would recommend him to anyone, and I will use his services again." "We can not say enough about our experence with Dan and Selina (dgmphotography).The outdoor family pictures that we had taken were simply awesome! Dan and Selina compliment eachother so well in the photography business. They work very hard to get that perfect shot and capture special moments in time, all with a upbeat attitude and a smile! You will be hard pressed to find someone who can beat the service you'll reciceve from dgmphotography. Thank you Dan and Selina!" "WOW! They are beautiful...we love them all! We are especially getting into the metallic finish. 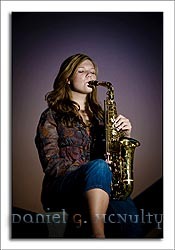 It might be the saxaphone adding to the effect, but, it is really cool! Thank you so much, Daniel." "The pictures are so beautiful. We can't wait to display them in our new home. Thank you so much for everything. You have made remembering our wedding into something so special. Best wishes to you and your family." By the way, those pictures are fantastic! I love the pics of just Kyle and Courtney. You really should enter a few of those. Of course, maybe I'm partial to the subjects, but that Mercedes/Barn/Kyle & Courtney shot is to die for, and many people have commented it looks like it should be an ad for Mercedes. Have you thought about contacting the Mercedes people? "Just wanted you to know that we received Jeremy’s pictures yesterday and they are wonderful!! 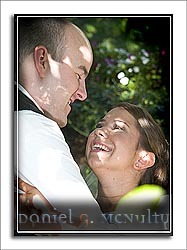 "We are very pleased with the pictures we purchased from dgmphotography. 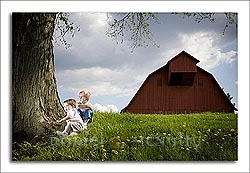 Daniel photographed our family of 4 very rambunctious children with ease and PATIENCE. We intended to order pictures only for grandma's 60th birthday, but the pictures were so beautiful that we ordered many more! 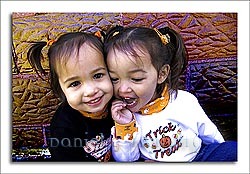 We really liked the convenience of being able to view our pictures on the internet and order them online as well. Daniel was great about touching up photos to rid them of unsightly things such as a visible diaper! We live in Indianapolis but are happy to make the trip to Lafayette for Daniel to photograph our family!" "Wow! How can we thank you enough for all the time and effort you put into making our day so special. Our pictures are amazing, the slideshow was just what we wanted, everything you did was perfect for us. Now we will have all these memories to cherish our whole lives. Thank you, Thank you so much! " "First off, I want to thank you again for the AMAZING job you guys did at the wedding! I had such a great time shooting with you guys and the photos you took were absolutely outstanding!!!!! Just about everyone complimented the slideshow and said the pictures were fantastic! Thank you again!" "Pictures arrived today.Thanks so much. You are the best!" "Thanks for the pictures! We have shown them to quite a few people and everyone who sees them is amazed! I put all the pictures I ordered from you last week into a collage frame to hang in our new house and it looks fantastic!" Allison S. & Levi S.
The pictures are AMAZING!! We love all of them! You just have one awesome talent....THANK YOU SO MUCH!! As I'm sure you already know, I have no idea what pictures we want...it's going to take us a long time to decide! They're all so great! Thank you so much for taking Allyson's pictures. She is still talking about the fun she had that day. Thanks again"
"Thanks for taking the time to take Nick's pictures. We all agreed it was a great experience." "Yay!! These turned out great considering she puked!! Lol can't wait until next week when she wil be smiling!!" "Got it, OMG I love them. I don't know how I will ever decide! Thank you soo much!" "I LOVE my portraits! Especially the canvas ones..brought tears to my eyes! Thank you!" "Once again your fabulous pictures make this grandma so happy!!" "You do such great work..LOVE the pictures!!" "This grandma is thrilled with these pictures. Once again Daniel..Your are the BEST!!!" "Hello Daniel, I absolutely love love love the pictures!! You did amazing! They are definately ok to post on facebook,please do!! Thank you so much for you and your wife's services!!!" Thank you so much for all that you two have done for us! We really appreciate it and we've had a great time with you! We can't imagine having better photographers! Thanks again!" "Daniel and Selina's professionalism, creativity, and enthusiasm for our union were such an integral part of our wedding day. 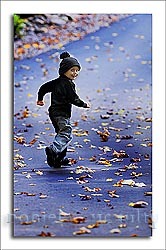 Our photo album is constantly taken off the book case and looked at and always receives rave reviews. Our wedding photos are on display here in the US and also in Ireland and we're still getting feedback on the wonderful photos! A newly engaged girlfriend of mine asked me for a highlight of our wedding day. I knew it would be a goofy answer, but the photography session with Daniel and Selina between the ceremony and the reception was most memorable. Daniel and Selina are creative, enthusiastic, fun-loving, and easy to work with. And the result was not only a wonderful memory, but a highly complimented wedding album." "You guys did it again!! LOVE THEM, LOVE THEM!!!! You captured perfect memories for us! AWESOME!! :)"
"Crazy Amazingly Delightfully Good!!! Best yet!!" 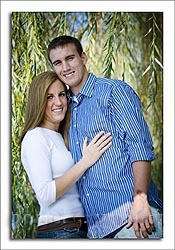 "I just received my pictures in the mail, Daniel, and I absolutely LOVE them! I can't wait to put them on the wall. " "WOW!!! Now I know what everyone was talking about. Some of the clearest,most colorful, in focus action shots I have ever seen. Thank you so much for everything you did. Will make great Hero cards." "The shots you got were great... bravo!" "Thank you so much for doing such an awesome job at our wedding! You and your wife made it amazing! Can't wait to see pictures!!!" "I was very impressed by the quality of not only the prints but the session itself. Dan and Selina have great ideas and work great together. People walk into my house and can't believe that my photos of my boys are real. One comment was even that it felt like my son's eyes were following them across the room. Great team! " "I love all of them!!! Several of them brought tears to both of our eyes!! What a talent both of you have!! I have looked at them about 100 times already!! Wow, I love them."